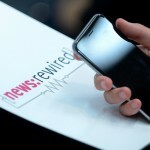 The opening panel at the newsrewired conference will explore what the younger generation (13-24) who never knew life without smartphones wants from news organisations. The panellists will look at how to get the Gen Z engaged with your brand and, crucially, make them stay so you get ahead of your competition. Ellen Stewart, head of content at the world’s most-read LGBT media platform, PinkNews, specialises in audience development and editorial campaigns. For the last three months, she has acted as launch Snapchat editor, with PinkNews becoming the first LGBT+ outlet to publish to Discover. 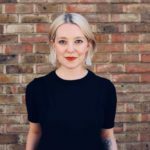 She previously worked at the Evening Standard as acting growth editor and head of social, where she built an audience team from the ground up and successfully delivered double-figure growth across social and SEO. 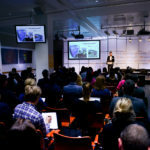 With about three weeks to go to our next news:rewired digital journalism conference in London, we are delighted to announce more speakers joining us from BBC News, Deutsche Welle, Immersiv.ly and Syracuse University. The latest speakers to join our growing line-up will be discussing ways to source stories on social media, a skill every journalists should master nowadays; and looking at the potential of virtual reality for news and how to start experimenting with a low budget. With two months to go until the next news:rewired conference in London, we are delighted to announced the first set of speakers. 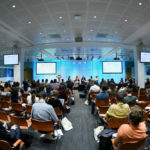 The conference will take place on Thursday 16 July at MSN HQ in London, with a full day of panel discussions and workshops on the latest tools and trends in digital journalism. The first speakers include experts from the Guardian, Sanoma Media, Reportedly, Deutsche Welle, On Our Radar and Smart Film School. We’re pleased to announce the initial speakers confirmed for news:rewired, and just a handful of the subjects to be covered on the day. 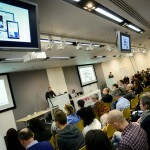 The one-day conference will take place on Thursday 20 February, at MSN UK’s offices in Victoria, London. 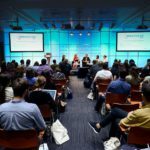 The event will feature a range of sessions, workshops and panel discussions, covering key issues in digital journalism and sharing practical tips and inspirational case studies showing how newsrooms are making the most of digital platforms. Subjects to be covered on the day will include social media judgement and shareable stories, doing data journalism on a budget, engaging with the community and ways to ensure your online security – plus much more. 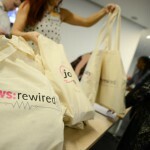 If you’re after more than the one day, we are also offering an additional half-day extension of news:rewired, with our news:rewired+ tickets. These give you entry to the Thursday conference and an additional three-hour, hands-on practical workshop the following day, Friday 21 February, for just £220 +VAT. Delegates can choose from the three following workshops: web-native video, data visualisations and searching social & verification. You can buy all tickets at this link.